Becca is perfect for any occasion with fresh cuisine, thoughtful touches and impeccable service, so you can relax and enjoy your party or special event. Two unique tables for private parties, each seating up to 10 guests. Reservation includes guaranteed indoor seating in case of inclement weather. Premium amenities including dedicated waitstaff. Minimum $300-$500 food & beverage purchase required. 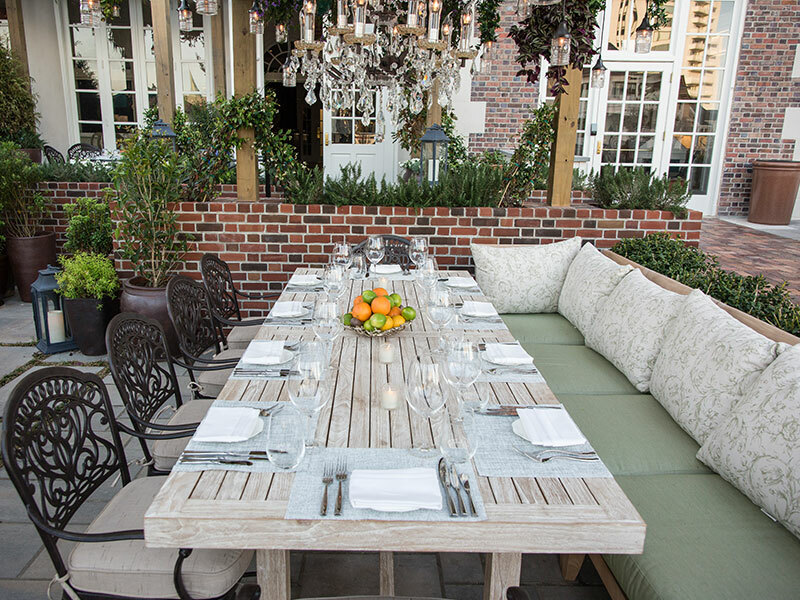 Beautifully appointed private space accommodates up to 12 guests and includes dedicated waitstaff. Large LCD screen available for meetings and presentations. Available for breakfast, lunch, and dinner. Includes preferred dining time. Cost: $150-$500. Plan an unforgettable afternoon with a tea time reservation at our King's Table, located on the loggie of The Raleigh Room. Available exclusively for our celebrated afternoon tea service. Exclusive use fees range from $500-$1,000. Inquire for further details. Contact us today at (757) 965-9899 to start planning your event.